Truck and trailer cable with two 4-pin connectors at each end. Comprise of a 4 meter coiled suzie cable with heavy duty waterproof connectors and two 1 meter ( customized) cables each with two 4-pin connectors to connect up to 2 cameras. This extension cable is used for vehicles with a backup camera system, as a indispensable accessory between the monitor and camera! It can also be used for vehicles which use a CCTV system and require a connection cable from the vehicle to the trailer. This cable/adapter features a flexible spiral centre wire connection which can be used for various vehicles such as car, school bus, heavy duty truck/trailer, caravans, agricultural vehicles,construction vehicle,etc. 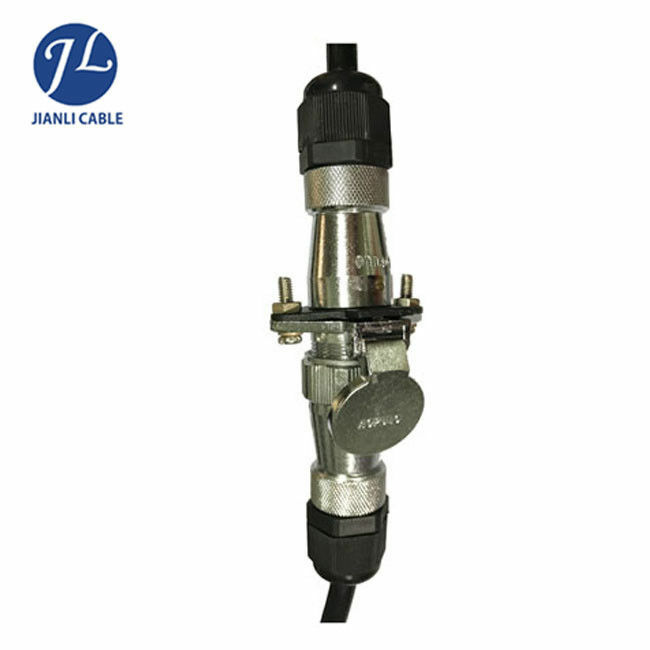 It features high quality connectors, which promise a stable, contant, long lasting connection. This cable is ideal for a 2 channel setup, if you are running 1/3/4 cameras to your trailer, we also do a Dual Camera Extension Cable.